This is the first of a series of three essays on triptychs. This new series builds upon the concepts established in my previous essays, in particular, my just-completed series on abstract landscape photographs. You can read my previous series of essays on this site. Photography can be used for many documentary purposes: commercial work, reportage, news photography, forensics, capturing a moment in time and more. Photography can also be used to create artistic photographs. When the photographer’s purpose is documentary the goal is to create a literal representation of the scene or subject. When the photographer’s purpose is artistic the goal is to express an artistic vision of the scene or subject. Personally, I use photography to create artistic photographs and express my vision of the world. The goal of my essays, and by extension of my workshops and other tutorials, is to teach an artistic approach to photography. I do this by teaching artistic concepts and techniques and by showing how they can be used to create artistic photographs. One of the problems faced by photographers interested in creating artistic photographs is finding a way to step away from creating documentary photographs. The solution to this problem is to create photographs using artistic processes, concepts and techniques. To create artistic photographs you have to use artistic concepts. Abstractions, the subject of my previous essay series, and now triptychs, the subject of this new series, are two artistic concepts. When you decide to create an abstract image, a triptych, or a combination of both concepts –an abstract triptych– you step away from creating documentary photographs. The outcome is an artistic image, one whose goal is to express your personal vision in a unique manner, not document the scene in a literal fashion. A triptych is a work of art composed of three separate parts or images. A triptych can be created with any medium. However, in this essay, I will limit myself to discussing triptychs created with photographs. When creating a photographic triptych three photographs are arranged next to each other, usually with a plain border between them. The piece may consist of three separate images that are variations of a specific theme, or it may consist of one large image split into three pieces. – You are looking for a source of inspiration and ideas. 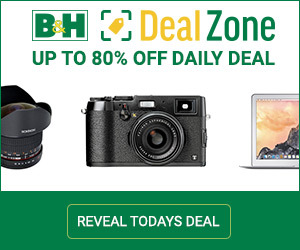 – You want to create artistic images and not documentary photographs. – You are looking for techniques based on artistic concepts. Using combinations of three images will result in artistic collages because three is an aesthetic number commonly used in artistic compositions. – You cannot decide which photographs to select among the many photographs you brought back from a shoot. In that situation, a triptych gives you the opportunity to show three images at the same time. – You are looking for ways to use your collection of photographs. Triptychs offer a solution to not knowing what to do with all your images. If you have too many images to display one by one, you will have three times less if you display them as triptychs. – You want to create quiet images. In a triptych, individual images do not have to shout. Each image can be quiet. The impact comes from the combination of the three images, not from a single image. – You find that some of your photographs are not strong enough to stand out by themselves. Combining three images solves that problem because each image becomes stronger when shown with two other images. – You are working on a subject that is better explored through several images but you don’t want to work on a full-fledged project. Combining three photographs is an effective solution when you cannot free enough free time to work on a long-term project. – You want to start creating projects instead of single images but you are not sure how to proceed. Creating a series of triptychs is a good place to start because the triptychs you create now can later become the basis of a project. – You are looking for ways to create abstract images. Triptychs invite abstraction because combining three images brings attention to the pattern created by the triptych rather than to the composition of each image. Triptychs are therefore an excellent option for the presentation of abstract images. – You want to take more photographs of a given subject. Thinking in threes encourages you to take more photographs and to get more keepers because you need a lot of photographs to make a good triptych selection. When creating triptychs you will rarely, if ever, have too many images. Sometimes two photographs is what is needed to say what you have to say. This is called a diptych. It is a valuable alternative to a triptych even though in my opinion it is not as aesthetically pleasing. In this diptych, I created the high key version (on the right), flipped the image horizontally and then created the low-key version (on the left). These choices were made for aesthetic purposes to avoid visual repetition. I had no intent to document the scene whatsoever. You can create triptychs in two different ways. You can take photographs, as usual, working towards single images or a series of images, and then later select three photographs that work together as a triptych. Or, you can shoot with the goal of creating triptychs. Both approaches work. However, if your goal is to create a large number or a series of triptychs it is best to photograph with the creation of triptychs in mind. This is particularly important if you want to create triptychs that feature three photos of the same subject. Because you need both similarity and diversity in the images to make a triptych combination work, capturing a variety of photographs of the same subject in the field while introducing small variations will greatly enhance your chances of success. Personally I get better results if I photograph with the goal of creating triptychs in mind. Thinking of capturing images in groups of three makes me photograph differently. Instead of photographing with the goal of creating a single image, I photograph with the goal of creating three images that work together. This makes me look at a given scene harder and continue shooting instead of stopping when I get a single satisfying photograph. Once back in the studio one of my favorite approaches for creating triptychs is to place all the images I have of one subject in a folder, set the folder to icon view and then arrange the icons to see which ones work together. 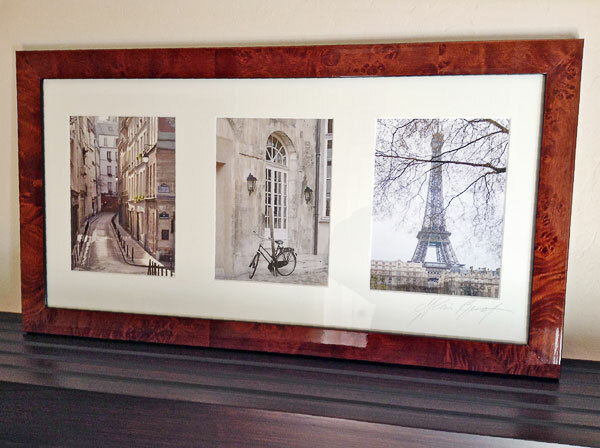 A framed triptych featuring photographs of Paris. – A single photograph split into three parts in Photoshop. – Three photographs of the same size. – Three photographs of different sizes. For example two photographs of the same size on each side and a larger one in the middle. – Three photographs of the same subject or object. – A horizontal or a vertical triptych. We often think of triptychs as horizontal but they can be done both ways. If your goal is to create abstract images, triptychs are an effective technique because a combination of three images forces the viewer to look at several images at the same time. By doing so the viewer’s attention shifts from analyzing a single image to making sense of a group of three images. The reason why this is effective is because there is a tendency when looking at a triptych to not pay attention to the details of a single image and instead to focus the attention to how the three images relate to each other. By focusing the viewer’s attention on a group of images instead of on a single image you emphasize the relationship between the three images. What becomes important is how the images interact, complement, contrast and relate to each other. The viewer’s attention is occupied by the necessity to make sense of the composition of a group of images instead of the composition of a single, isolated image. In a way, a triptych can help create an abstract image by taking the viewer’s attention away from the reality aspect of the subject and direct it towards the aesthetic aspect of the subject. The viewer becomes aware, consciously or not, that they are looking at an aesthetic construction and not at a documentary image. There is no need to triplicate a subject if you want to document it. Therefore this must be art. Be sure to read my series of essays on Abstraction on this site for more on this subject. If you cannot find these essays simply email me at alain@beautiful-landscape.com and I will email you the link. The coherence of a triptych comes in large part from the processing of the images. Coherence in art is the ability of a piece to work with other pieces when they are exhibited or presented together. In a series, this means having pieces that share common characteristics such as color palette, contrast range, composition, processing, format and so on. For a triptych to be coherent the processing of all three images must be similar or nearly similar. Color balance, contrast and sharpening need to be comparable otherwise the triptych will not come across as a single piece. If there are variations of color among the three photographs these variations must be significant enough that they come across as intentional. If they are minor they may come across as processing errors instead of intentional variations. 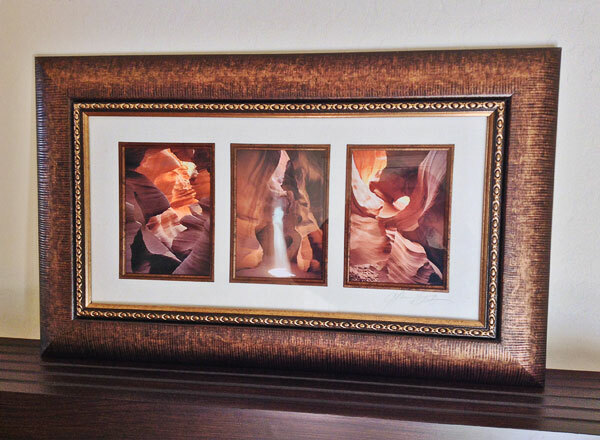 Matted horizontal Triptych with a single mat opening in my gallery. 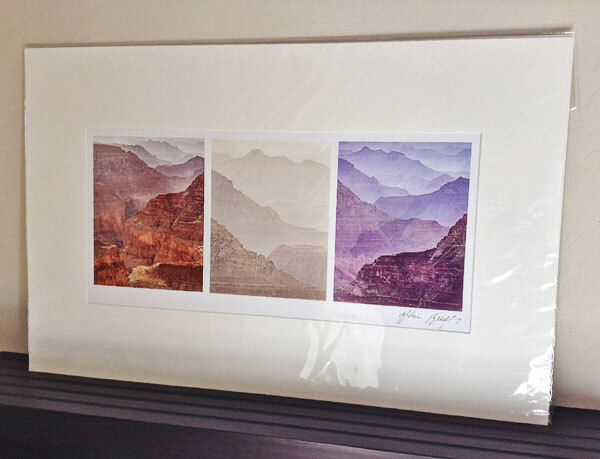 Matted and framed horizontal triptych with a triple mat opening in my gallery. 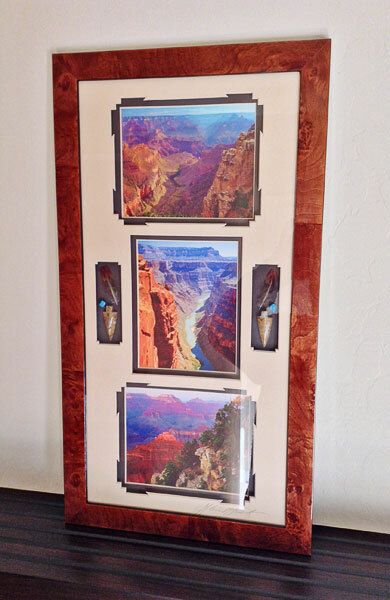 Matted and framed vertical triptych with a triple mat opening plus decorative elements in my gallery. Triptychs bring the concept of time into the images because we are looking at a series taken over a span of time and not at a single image taken in a fraction of a second. Triptychs allow you to use several photographs that are nearly similar instead of being forced to decide which image you prefer among images that closely resemble each other. Thinking about groupings of three is more challenging than thinking about one image at a time. Not only does each image need to look good, all three images also have to look good together. I have been experimenting with small compositional variations of color between the 3 images and I have found that this adds a level of interest to the piece rather than distract from the piece. I also like to duplicate an image, flip it left to right, then put these two images on each side of the central image. Doing so creates a nice symmetry and solves the problem of having only two compatible images. I have also been experimenting with different horizon levels across the three images and again I have found that it adds interest. For example, I will place the same horizon level on the right and left images while the horizon level of the central image is higher or lower. I found that introducing small variations among the three images cause the eye to wander back and forth from one image to another creating more dynamic pieces and giving a longer-lasting interest to the piece. To create artistic photographs you have to approach your work from the perspective of art and you have to implement artistic concepts in your work. Because triptychs are an artistic concept they naturally direct your work in an artistic direction. Overall I find that triptychs allow me to express my emotional response to a scene better than single images. Repetition is the key element in this effect. It echoes my emotions visually, repeating them instead of narrowing them. It provides room for my soul to breathe and expand and to feel again what I felt at the moment I created each photograph. My next essay will focus on Examples of Color Triptychs. Just like I did for my previous series of essays on abstract photographs, I decided to separate the examples in two different essays, one for color and one for black and white images. The next essay will be the first of two essays featuring examples of triptychs. This series is, therefore, a suivre. 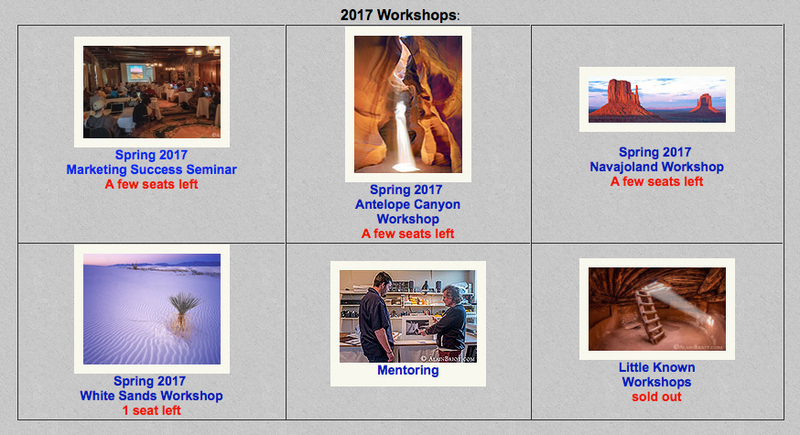 You can find more information about our workshops, photographs, writings, and tutorials as well as subscribe to our Free Monthly Newsletter on our website . You will receive 40 free eBooks when you subscribe to my newsletter. I create fine art photographs, teach workshops with Natalie and offer Mastery Tutorials on composition, image conversion, optimization, printing, business, and marketing. I am the author of Mastering Landscape Photography, Mastering Photographic Composition, Creativity and Personal Style, Marketing Fine Art Photography and How Photographs are Sold. All 4 books are available in eBook format on our website at this link . : Free samplers are available so you can see the quality of these books for yourself.